There are many things in life to celebrate and a new family addition is just one of them. 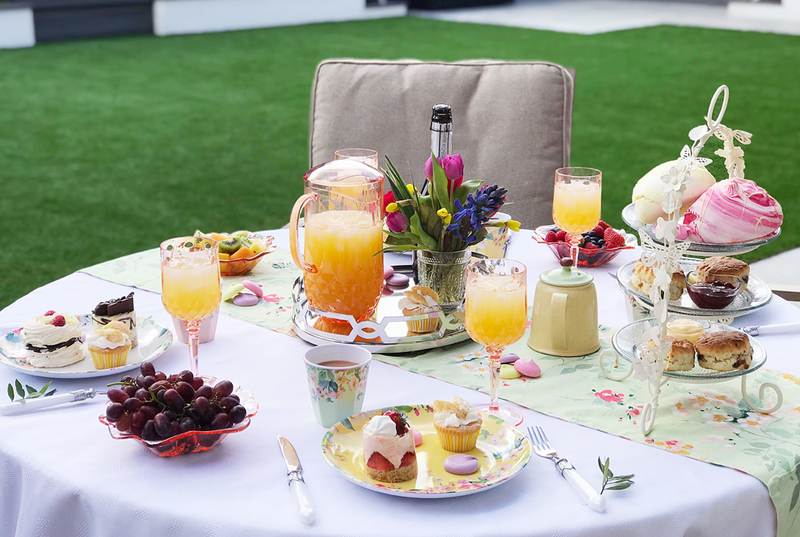 Creating a beautiful garden afternoon tea party is just about one of my favourite kind of tablescapes to style and throwing a baby shower is my favourite party to host so putting those two things together was so fun. This spring, if it ever shows up we can call it that, I am celebrating my own baby shower. With our last family addition soon on its way, friends are gathering to help me welcome our baby boy to the world. When I think of baby showers, I always think of close family and friends gathering to share in your most exciting news on becoming a parent and cake. Cake just screams celebration. 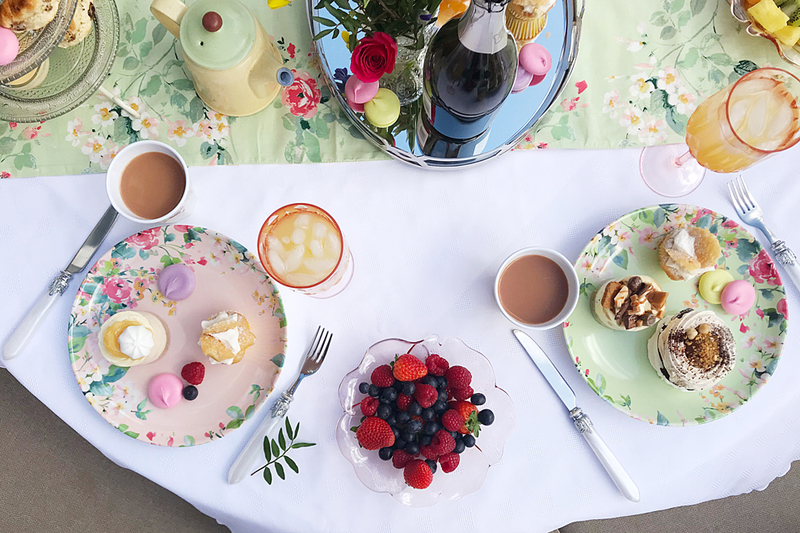 Afternoon tea is one of those spreads you can put on that are very social. 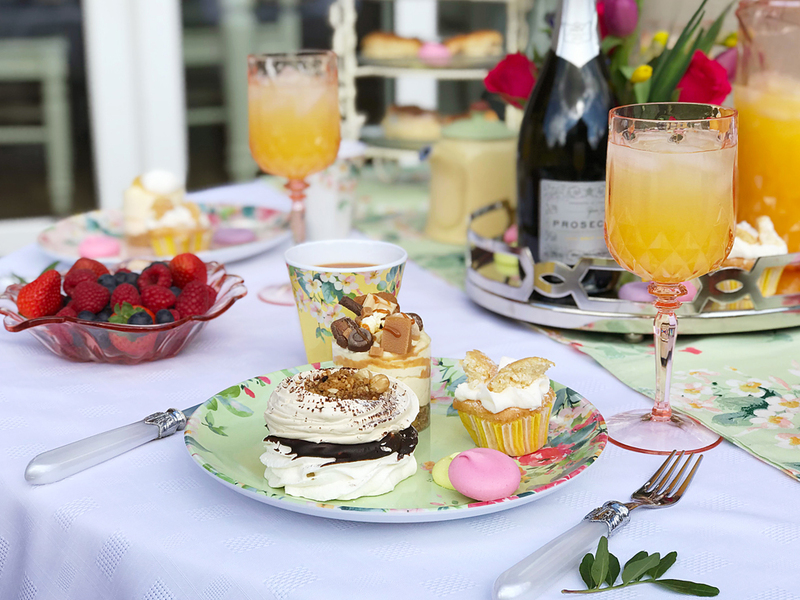 At most baby showers not everyone will know each other and it’s a great conversation starter when you wow them with luxury mini cakes, prosecco, in the garden with beautiful table accessories. 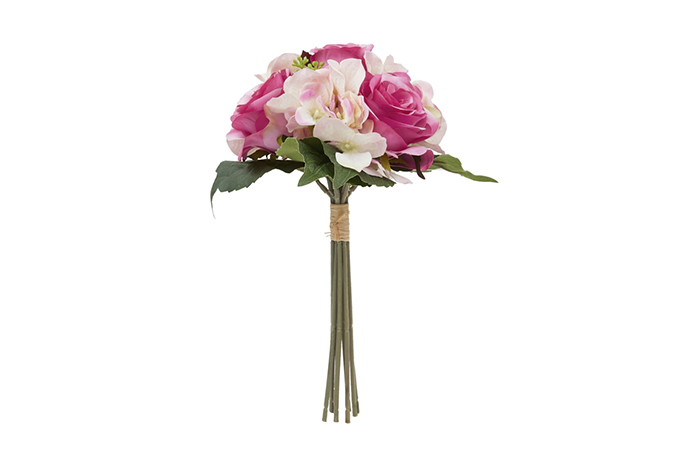 There are many places you can throw a baby shower; in someone’s home, in a restaurant, private dining room, or in a garden depending on the season. First thing you want to do is pick a theme. I went with garden kitchenware with pink, yellow and green floral patterns. I wanted to create a floral oasis at a time where we don’t have many blooms yet in the planters and pots. I wanted our garden to come alive with colour and be pretty. Using these gorgeous Spring Floral Plates and Spring Floral Beakers did the trick perfectly. Running along the centre of the table I placed the Spring Floral Table Runner which actually has two side options; stripes or florals, both were so pretty I couldn’t decide which way to put it at first. So I had my theme to work around. What’s afternoon tea without tea? 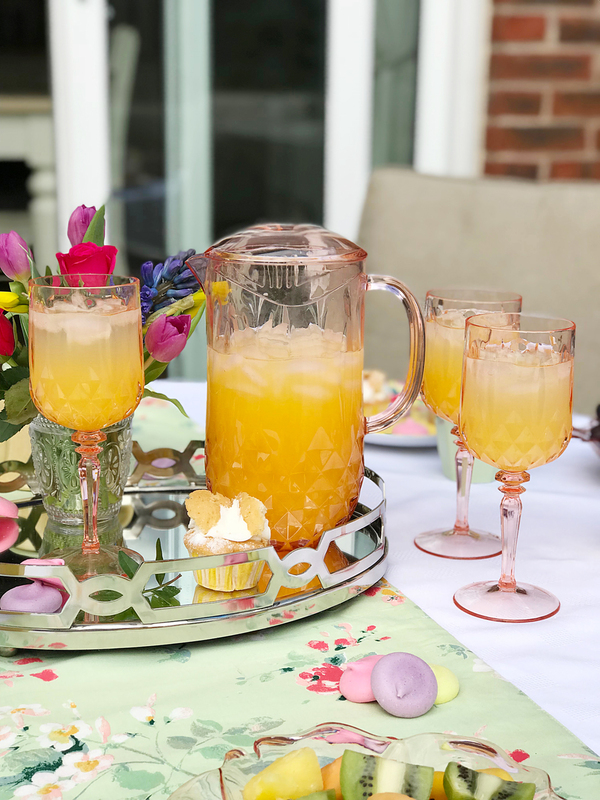 How about Prosecco Punch for those that like a little bubbly during a big celebration. I made the most delicious punch using equal parts orange juice, prosecco and cranberry juice. Of course, decaf tea and plain juice for the mother-to-be if she chooses. To serve my delicious baby shower punch I styled it with this Blush Faceted Acrylic Jug, and four Blush Faceted Acrylic Wine Glasses. The blush color accented the spring floral patterns so nicely and it’s always better to use acrylic outdoors for a garden party. Safer and more durable for your guests. Next, it’s about picking centre stage or in this case centre table. What are you going to put in the middle that finishes the look off? My biggest advice here is don’t use things that are so tall that you can’t see guest all around the table. I am a big believer this dims the social aspect down when table centrepieces are in the way. We all have been to that party or wedding where we can’t see those straight across from us, it’s not ideal. Using this stunning Fitzgerald Silver Mirror Tray to reflect the light as much as host the drinks. I put flowers in a tiny crystal cup so it kept them low but added to the floral accents. Now the table is set, the theme is picked, the baby shower tablescape is perfected, it’s time for cake. I did mention cake at the start didn’t I? 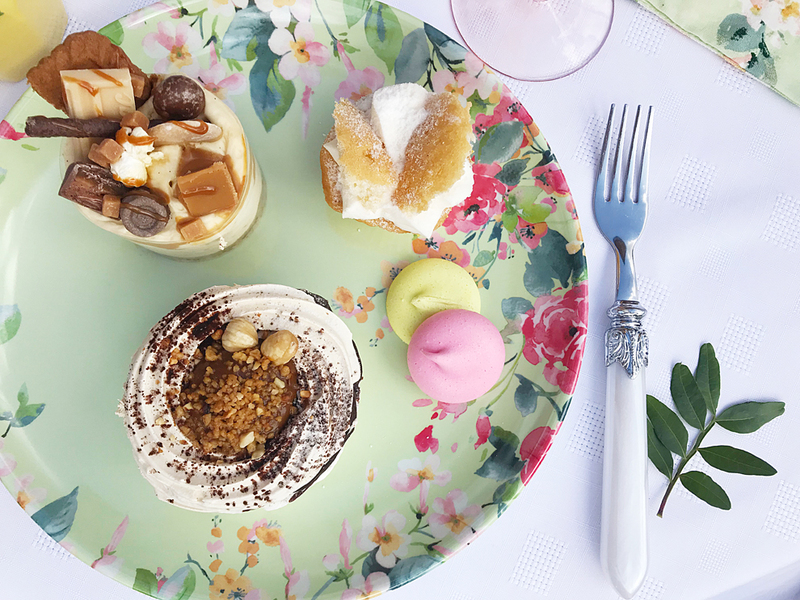 I prefer if it’s an afternoon tea party, we skip the sandwiches especially when it’s something to celebrate. 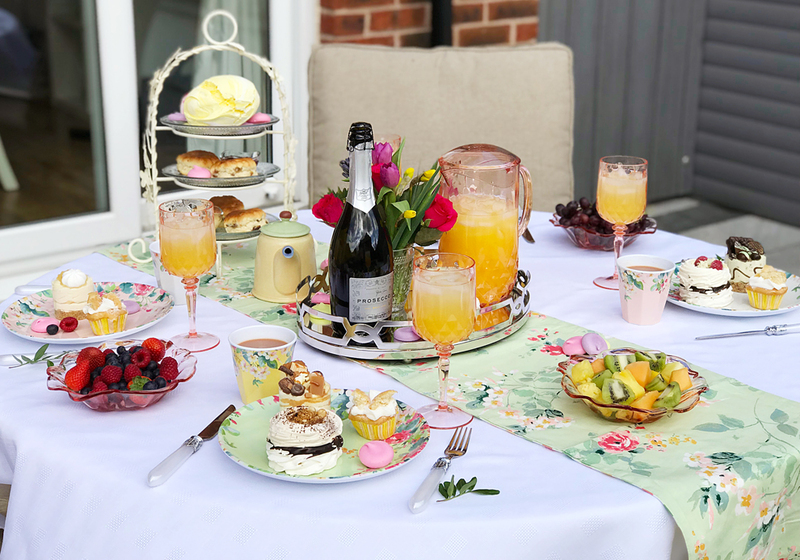 Who doesn’t love an afternoon in the garden with friends, cake, prosecco punch and tea to enjoy on a beautifully styled patio table? 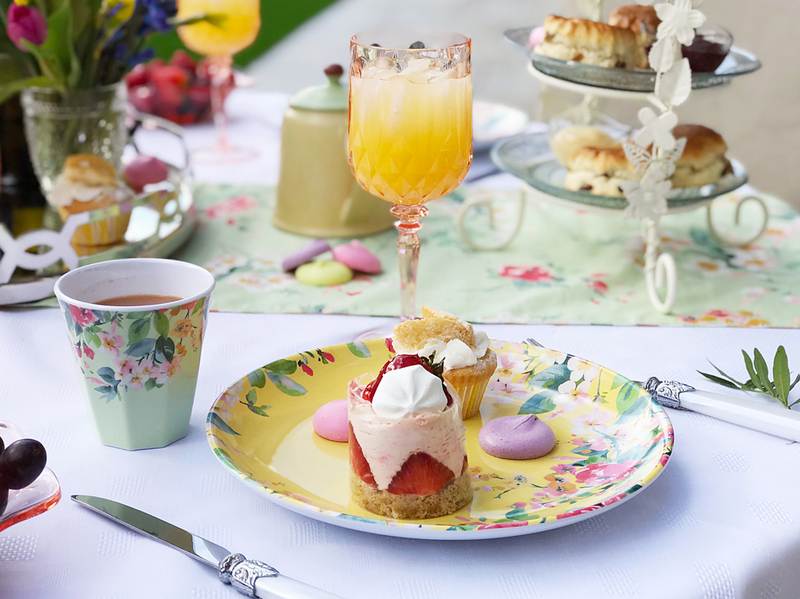 I choose a variation of luxury mini cakes, scones with clotted cream and jam, oversized meringues to serve with bowls of fresh fruit in matching Blush Acrylic Daisy Bowls in between each place setting. 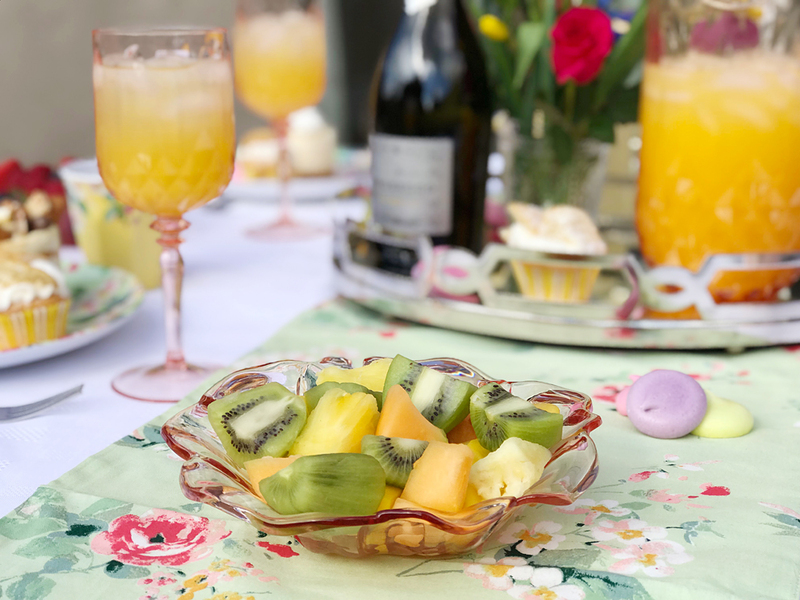 Fresh fruit always balances out cake and pairs nicely with the meringues too. I used my beakers for tea or coffee to serve they have quickly become my favourite morning latte mug. 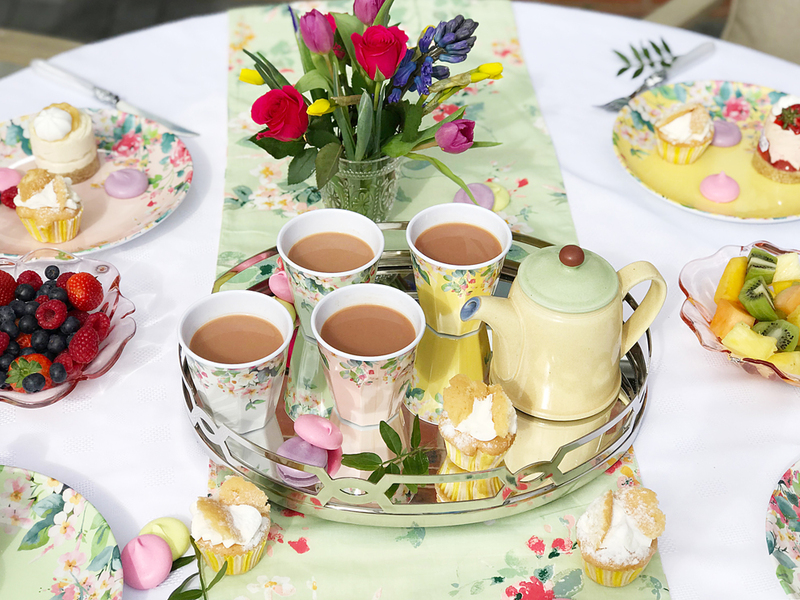 There you have it, how I styled a garden afternoon tea baby shower. 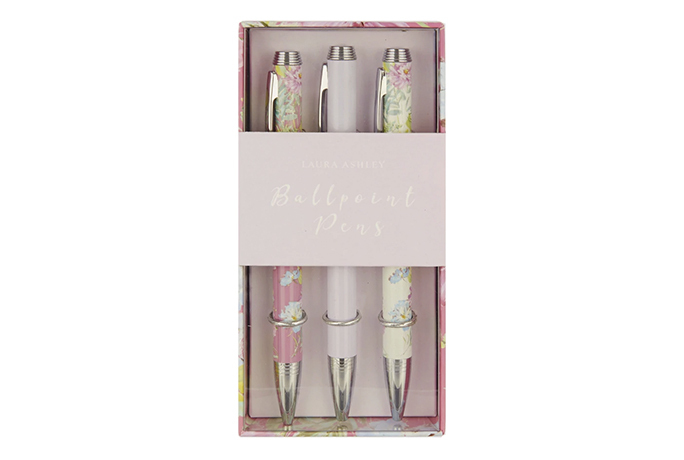 All you need to do is invite the guests, play some baby shower games after you indulge in your cake and punch or tea. Oh thanks for featuring me loved creating this gorgeous tablescape for a baby shower celebration I am loving the garden range this season so much. 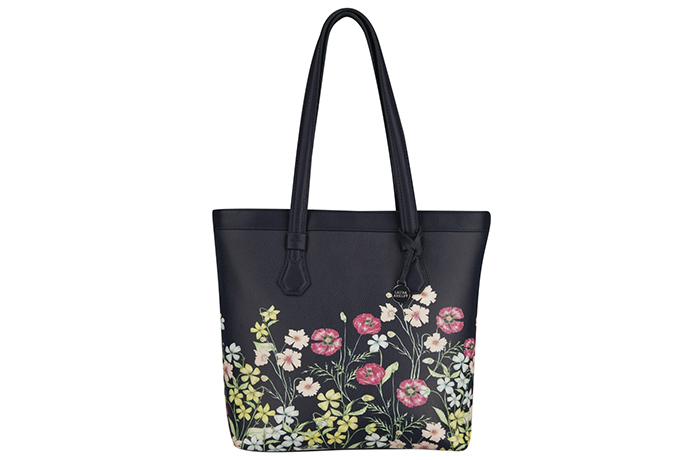 It’s beautiful perfect for any party outdoors this spring summer time.